2019 Rec Season Registration is now open. 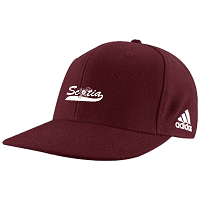 Registration for the Scotia-Glenville Girls Softball League 2019 Rec Season is now open. Any leagues wishing to schedule games with SG Softball please contact sgsoftball@gmail.com. Registration will remain open through 3/19. A $50 Big League Raffle Ticket Fundraiser Fee will be added at checkout. Each family will receive 10 $5.00 raffle tickets to sell or to keep. If you have any questions please e-mail sgsoftball@gmail.com.